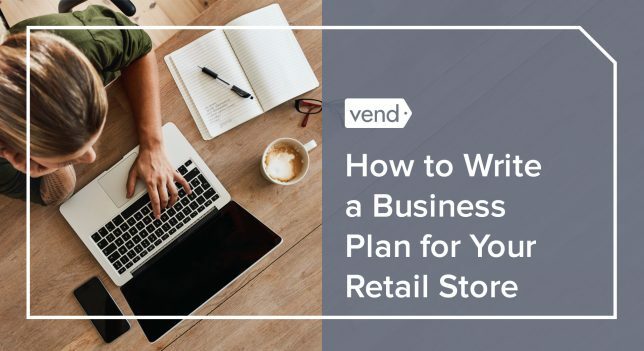 As a retailer, you go into everything that you do for your business with a plan. There are hundreds of things that you have to consider. How is your time best spent? Are there certain things that influence customers to buy more? Will certain strategies be more effective than other sales strategies? You’ll quickly find that coming up with the answers to these questions is anything but simple, and implementing those successful strategies can prove to be difficult. That’s because everyone wants more high-value customers and profit for their retail business. There’s a lot of competition out there for a dollar. 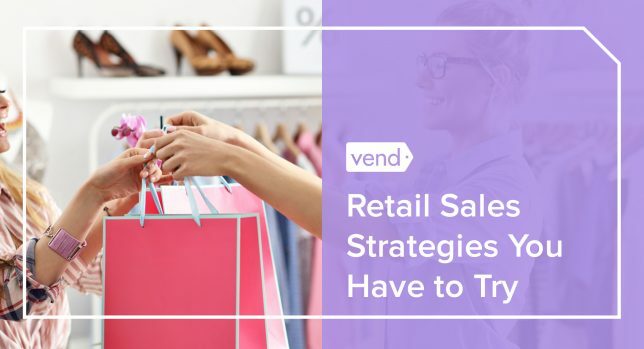 But in order to build a successful retail store, you have to have a successful sales strategy — or rather, several sales strategies you’re willing to implement. 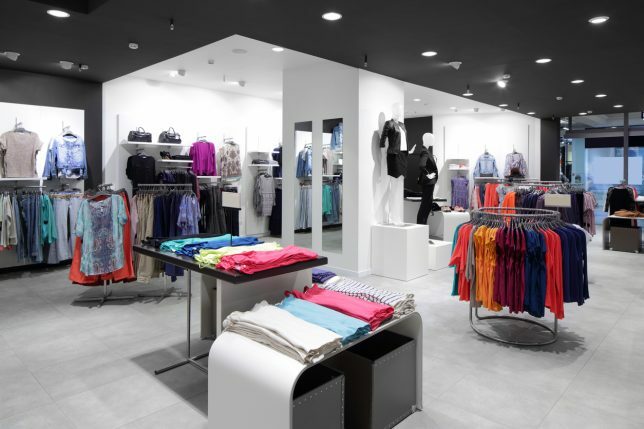 Simply put, a retail sales strategy is how you plan to make more sales in your store. By now you know how to best order inventory and implement customer service best practices, but it’s the strategic way you present your products and your sales that will set you apart from your competition. To really succeed in selling pretty much anything, you need to sell the value of a product over the price. It’s not about just putting up a “sale” sign and hoping for the best. It takes careful planning, and here are some strategies to get you started. One of the most famous American phrases is, “Would you like to supersize your order?” It’s an example of upselling, in which you try to get the customer to buy a slightly more expensive product than the one they were originally going to buy. This can be effective because sometimes your customers don’t know that a more premium product is available until you mention it, or they simply need to be told about what makes a certain product more valuable. Nobody does this better than Amazon. 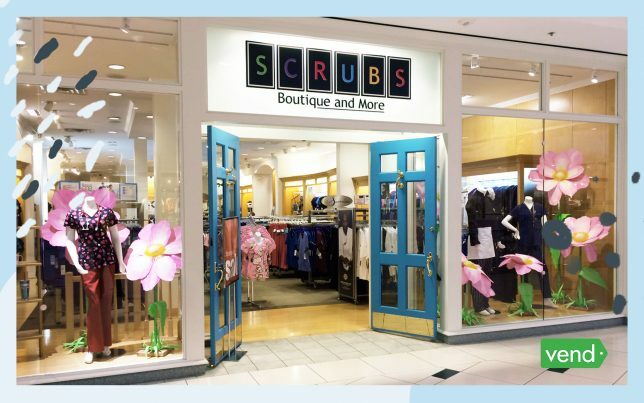 Not only do they upsell, but they also cross-merchandise, which is when you suggest that your customer buys another product that complements what they’re going to buy. When Amazon started implementing this feature in 2006, their sales increased by 35 percent. This is because it’s human nature to think you’re getting a great deal. Suggesting items that work well together makes it more likely that they’ll buy both items. 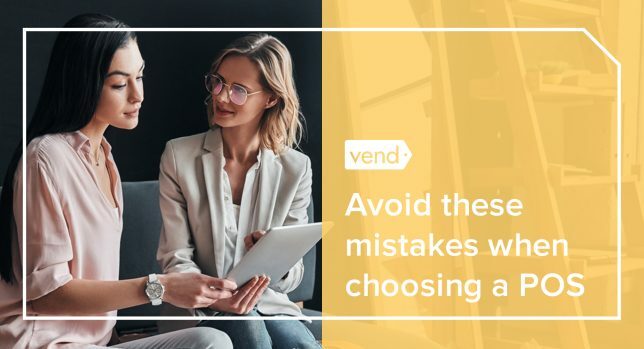 Just make sure your upsells are related to the original product so that the suggestion make sense, and also be sensitive to the fact that your customers may be restricted to a certain anticipated price range. 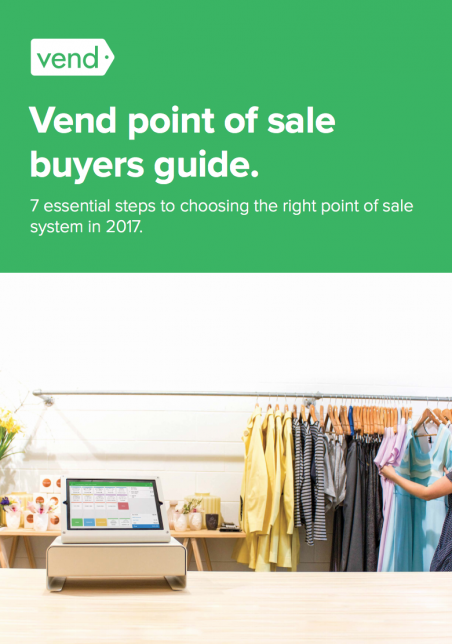 If you’re serious about upselling and cross-selling in your store, make sure your employees are trained to carry out these sales techniques properly. Teach your staff to look out for the customer’s best interests, and have them upsell only if the product is a good fit. Let’s say you’re selling a smartphone to a customer who isn’t a power user and only runs the device’s basic functionality. In this case, you would only sell them the most basic version of the phone, because the customer doesn’t need any additional features or space that comes with a higher-tiered device. On the other hand, if you’re talking to someone who heavily uses their smartphone and takes lots of photos and videos, then it makes sense to encourage them to purchase the more expensive edition. 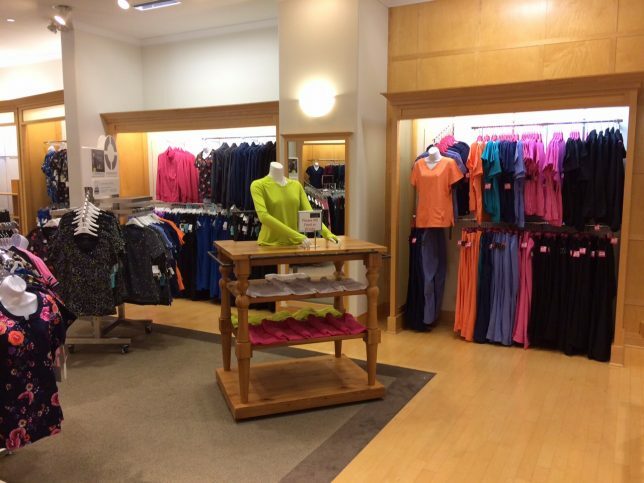 In addition to training your staff, you should also create in-store displays that can do the cross-selling for you. You can do this by dressing up your mannequins so they’re wearing matching clothing and accessories. Another idea is to put complementary products together. Take a look at this example from Target. The top shelf showcases different brands of sunblock for kids, while the shelf directly below it has swim diapers on display. 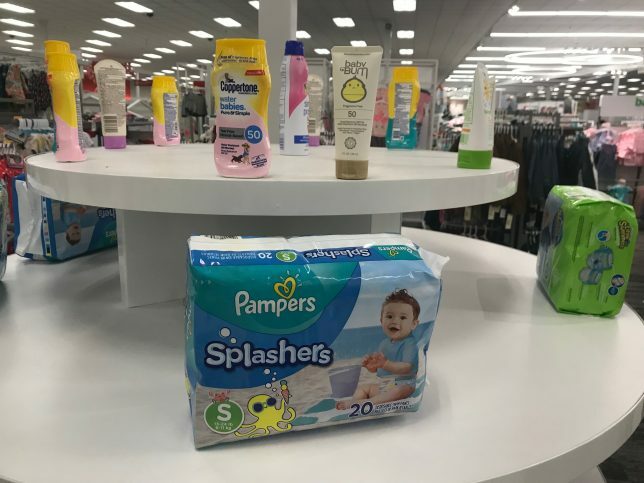 Target knows that customers shopping for swim diapers will likely need sunblock (and vice versa) so they cleverly put the products together. The chance to save money — but only if you act fast — is one of the oldest tricks in the book, but also one of the most effective. After all, if a killer deal is only offered “for a limited time,” you feel panicked that you’re going to miss out on the sale. 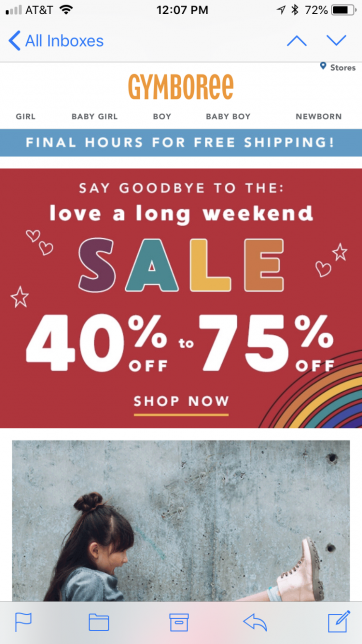 A flash sale can benefit a retail business in a few different ways. First and foremost, it gets people talking and attracts new leads thanks to the hype. It also shortens the sales cycle, which urges people to buy when they would have otherwise procrastinated. As a result, a flash sale can turn a slow time of year into a profitable stretch. Flash sales are best offered for a short period — a study found that three-hour sales have the best transaction-to-click rates (59 percent higher than usual) — and they’re best promoted by email, which was found to drive 18 percent of flash sale traffic. They’re a great way to move excess inventory, attract new customers, and retarget loyal customers. But there’s also the chance you only attract bargain hunters who have no intention of becoming long-term, full price paying customers. Decide what products you’ll sell and how deep discounts will affect profitability. Make sure you have enough inventory to fill demand. Ensure your website can handle the traffic. Whenever Apple announces a new product, people camp outside the stores for days because they know that there will be limited quantities and they want the exclusive product. Since the iPhone came out in 2007, they’ve been offered in a limited amount of available stock, and people will do anything to be one of the first with the latest model. It’s genius, seeing as that one product accounts for 65 percent of Apple’s sales. 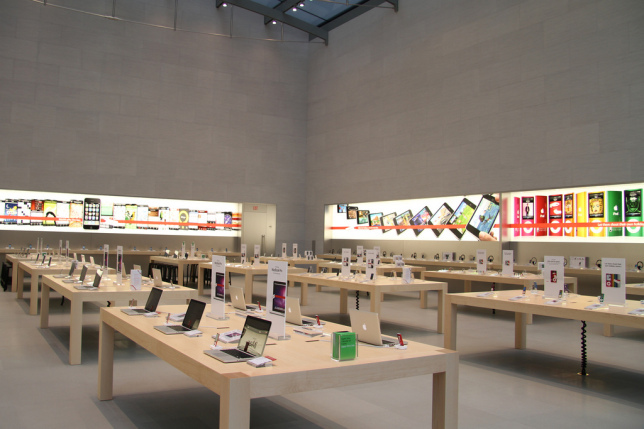 If you don’t have your own version of an iPhone for your store, it’s time to create one. For example, a boutique shop might strike a deal that designates it as the exclusive retail provider of a certain designer’s products. 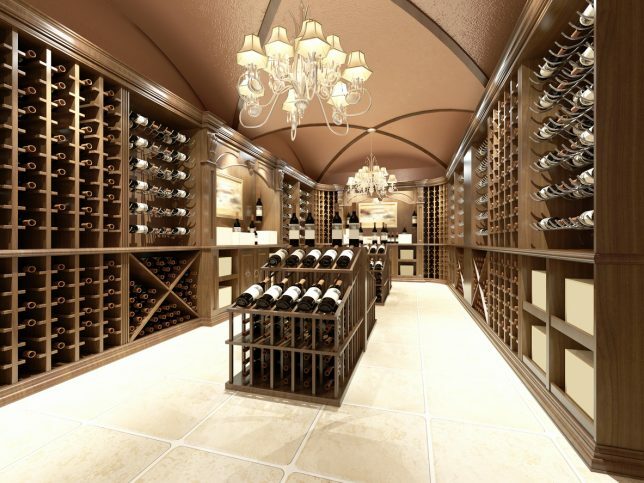 Exclusivity means the retailer doesn’t have to worry about being undersold by nearby competitors carrying the same products, and so they can set profitable prices. And studies have shown that limited supply in a virtual shopping environment lead participants to believe scarce items were more popular, and more shoppers chose the scarce item over the non-scarce one when told to select an item of their own. When it comes to your marketing efforts, there are simple tools you can use to foster an air of exclusivity. Waiting Lists: Having individuals sign up for an upcoming offer or event ahead of time builds up the hype surrounding your product. The added bonus is that this also helps you build a list that you can use for emails to continue the relationship in the future. Deadlines: Setting deadlines for registering for an event or redeeming a promotion creates a sense of urgency. Your customers will be pushed to act now before it’s too late. Limited Quantities: Limiting your promotions to a set number of people also creates a sense of urgency and encourages your customers to act now so they can be one of the lucky recipients. Qualifications: Making people met a certain set of criteria — like a sale for teachers, for example, or store VIPs — promotes the feeling that since not everyone can have it, it must be more valuable. Sometimes it’s not as much about marketing a product, as much as it is marketing a lifestyle — that requires your products. Take Lululemon Athletica, a yoga and exercise apparel company, that takes the crown when it comes to lifestyle promotion. Their strategy is based on promoting its “Lululemon Athletica” and “Ivivva Athletica”-branded products as necessary for a healthy, fun lifestyle. And despite having to weather some controversy in the past few years, it seems to be working out quite well for them. Now they not only sell athletic apparel for both men and women, but also cross-sell accessories like bags, socks, and yoga mats. Thanks to this lifestyle promotion strategy, people don’t just wear the company’s apparel for exercise purposes. They wear it as a fashion statement in and of itself — and they’re willing to pay a premium to get it. Driving innovation – our product pipeline is strong, and we continue to scale our technical innovations. Expanding our global footprint – our store formats are nimble, and we are in the early days of introducing lululemon to our international guests. Growing our digital presence – the power of our digital ecosystem is just beginning to be fully harnessed. Investing in our people – we know that when our people thrive, our business thrives, and enabling this remains at the forefront of everything we do. While you might not be able to expand your global footprint, you can expand your local footprint, all while driving innovation with your products, grow your digital presence, and invest in your people to ensure that they all embody the brand and lifestyle that you want to project. No matter which strategy you decide to implement, make sure that you measure and track the results. Your marketing campaigns are only effective if your business improves on the bottom life. Set measurable and specific objectives, and set up the right tools to track your progress. What do you want the end result to be? How can you use that insight to design your next campaign? If something doesn’t work, remember you can always learn from the experience and modify your next campaign. 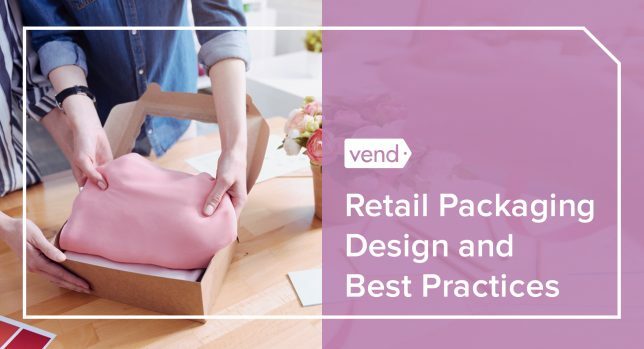 The post Sales Strategy Examples For Retailers: 4 Ideas to Help You Generate More Revenue appeared first on Vend Retail Blog. The brick-and-mortar checkout process used to be pretty standard across the board. Merchants would handle cash transactions, accept checks, or process credit card payments at a cash register. As retail technology continues to advance, it’s morphing the checkout experience in the process. And as ecommerce continues to stake its claim in retail, stores have to compete with the easy checkout process and online shopping experience offers. 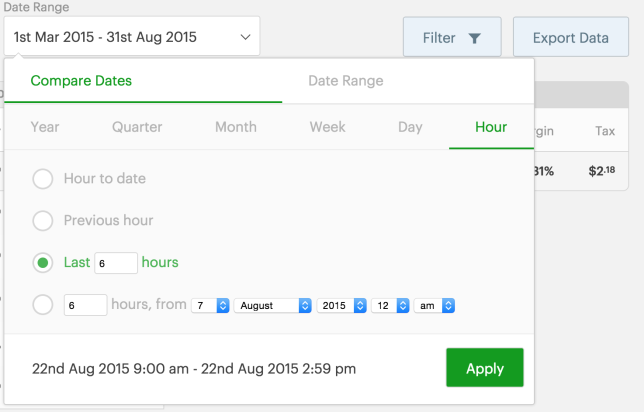 Let’s take a look at how you can make the checkout process a little quicker so you can capture a lot more sales. Perhaps the biggest move you can make to speed up the checkout process is to accommodate various payment methods and offer different checkout options. Today, consumers can pay with more than just cash or card. 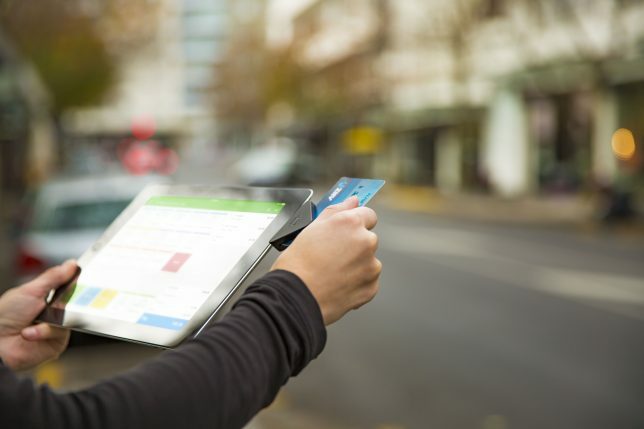 With virtual wallets and in-store fulfillment among some of the few new payment and checkout options, it’s important to accommodate as many as you can so that customers can check out efficiently. More consumers are armed with smartphones, and the number of people who use mobile payment methods is also on the rise. In fact, it’s expected to be used by 56% of the consumer population in 2020, according to Mobile Payments World. Not only does accepting mobile payments accommodate shoppers who are used to paying this way, but you can also capture sales when customers leave their wallets at home or have a card that gets declined. The Home Depot increased sales and customer satisfaction when they introduced mobile checkout. Similarly, the Girl Scouts also increased the number of units sold per transaction thanks to mobile pay. 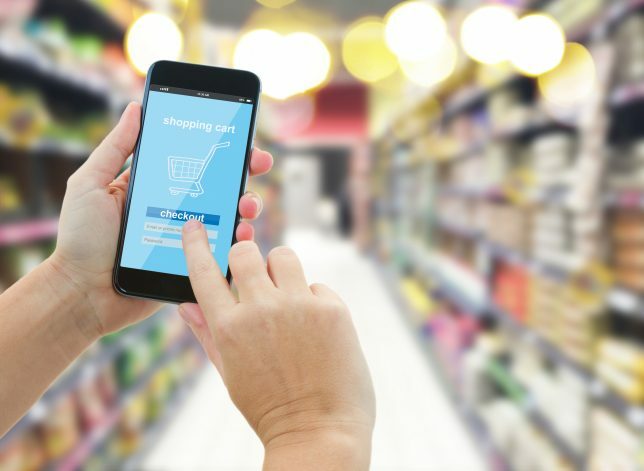 Some major retailers have even gone as far as creating their own mobile apps that allow shoppers to purchase for their orders from their phone. Contactless card readers have been around for a while, but they’re only recently becoming more popular in retail stores. The tap-and-pay technology has been adopted by many major credit card companies, and it’s a much quicker option than the chip reader (which is a bit more time-consuming than a simple swipe of the stripe). 67% of shoppers use the BOPIS option when shopping, according to Kibo’s 2018 Consumer Trends Report – Engaging the Informed Consumer. This dramatically decreases the checkout time because all customers have to do is come to the store and pick up their order. Retailers can streamline this process by directing BOPIS to a different checkout line or register. REI, for example, sends BOPIS shoppers to the returns and exchanges line, which is typically shorter. Allowing for BOPIS orders can help you quicken the checkout process and simultaneously increase sales. 15% of Target’s 2015 online orders were in-store pick-ups, and we’re willing to bet that number has jumped since then. Okay — not exactly a payment method, but equipping sales associates with wireless payment terminals can help keep the checkout process fast and painless. Plus, it means that customers can check out anywhere in the store, which eliminates lines and creates a more seamless experience. That’s how Vend homeware retailer the Borough Kitchen combats long lines in-store. They can quickly add payment terminals to the mix if the store’s busy and lines are getting longer. There’s something empowering about being able to check yourself out for a purchase at a store. Not to mention, it’s a lot quicker for your customers and it requires less attention from employees on the floor so they can focus on converting in-store browsers. Self-checkout was once a grocery store tactic, but other verticals have adopted the checkout option as well. Restaurants have incorporated self-ordering and payment kiosks; you’ll see these in airports worldwide, as well as establishments elsewhere. Sam’s Club has a self-checkout app customers can use to scan and pay for items themselves. Unsurprisingly, self-checkout users skew younger, according to data from Statista, so if you cater to a more senior customer, this doesn’t need to be a priority for you. Digital receipts are one way to go green, but they’re also helpful in streamlining the checkout process. For starters, customers don’t have to wait for the receipt to print out. And associates don’t need to stop and refill the receipt printer — which can be especially aggravating for customers who are waiting in line. But besides helping you quicken the checkout process, email receipts can also help your business. They continue the conversation with customers, and when approached strategically, they present excellent upsell and cross-promotional opportunities. 70% of people take advantage of coupons or discounts promoted through email, reports Forbes. You’ll also reduce your carbon footprint (and some extra expenses) in the process. Looking to go paperless in other aspects of your business? 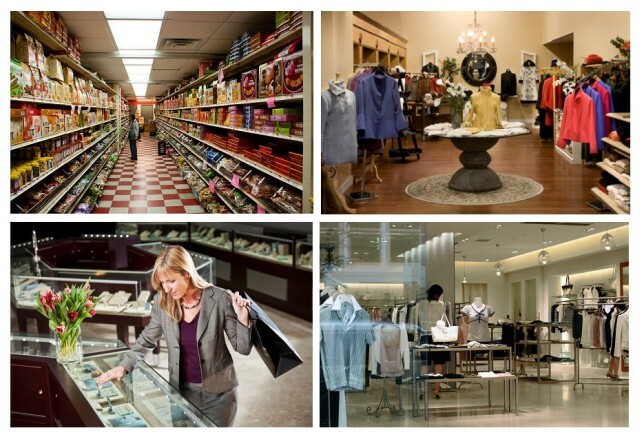 Check out our detailed post on how to digitize your retail business. You can have the most advanced hardware and software and still suffer from a lengthy checkout process. It’s crucial to remember who is operating the technology and make them a part of checkout optimization. 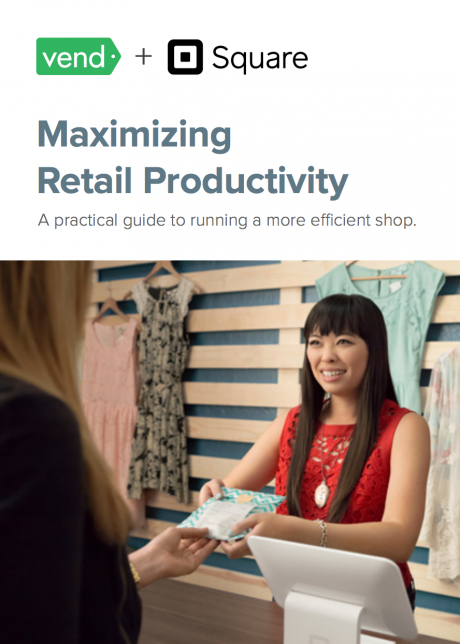 Retailers should train staff to keep this process fast and painless for customers. 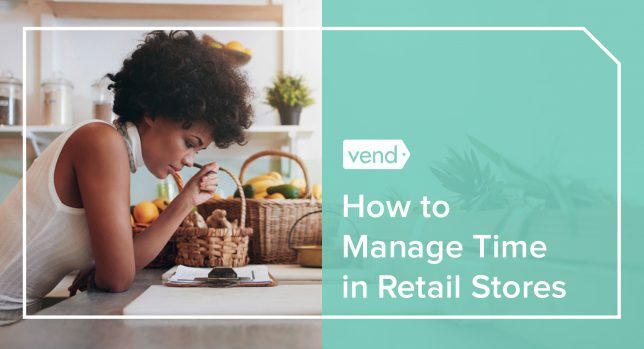 Retail sales associates need to be reminded and properly informed on how to expedite the checkout process without making shoppers feel rushed. When it comes to adopting new technology, like mobile payment terminals, staff should be thoroughly trained on how to use the tools. Explain to them the goals of making the checkout process more efficient, the why behind it, and how they can play a role in achieving that objective. Sometimes a faster checkout is as simple as faster internet. If you’re operating on the cloud, a fast and reliable connection is absolutely essential to keeping things moving. If your POS commonly gets stuck loading during checkout, it might be time to upgrade your connection. Check to see if there’s fiber optic available in your area, as it’s widely known to be faster and more reliable than a typical broadband connection. A network extender can also help if there are certain areas of your store that have a weaker connection, usually spots located further away from your router. For more information on in-store WiFi best practices, read our post on offering WiFi properly and securely. 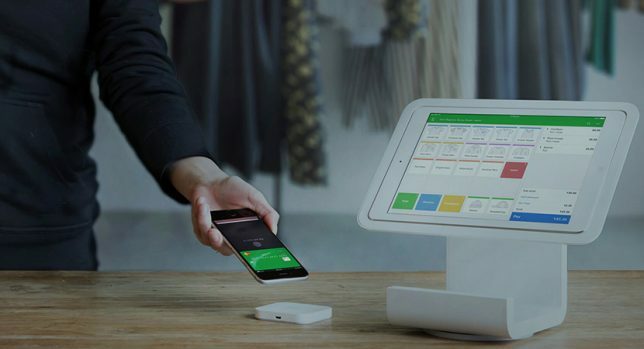 Just like upgrading your WiFi connection can improve the checkout process, so can an upgrade to your POS technology. There are tons of options out on the market, but it’s best to find one that’s intuitive and easy to learn for in-store associates. 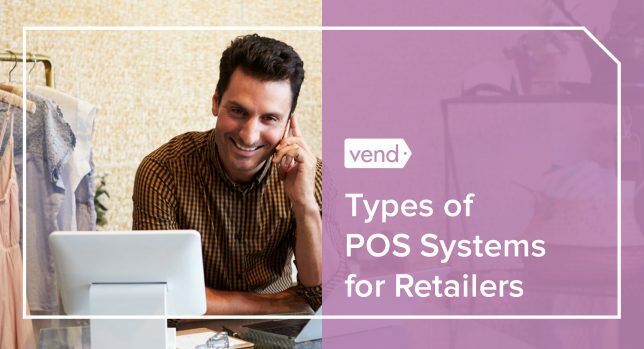 A cumbersome POS that’s difficult to use has the potential to frustrate both your employees and your customers. Some POS options can save customer data as well, which can speed things up during transactions. Your staff won’t need to ask for as much information, and sometimes payment information or preferences can be stored for future use. The checkout process is a crucial component of the overall customer experience, so don’t overlook it. If you haven’t evaluated your checkout experience in a while, it’s high time to do it. Assesss your process, equipment, and staff knowledge then identify areas of improvement. 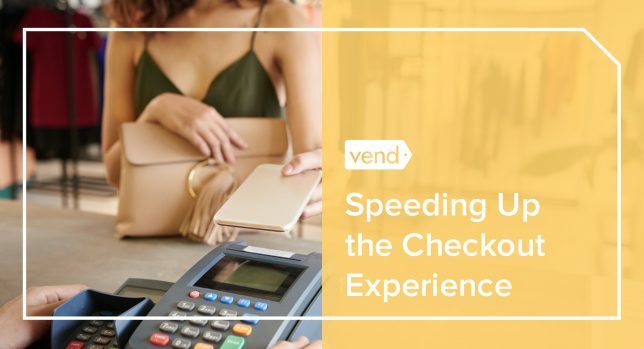 The post How to Speed Up the Checkout Process: 5 Tips for Ring Up Sales Efficiently appeared first on Vend Retail Blog. 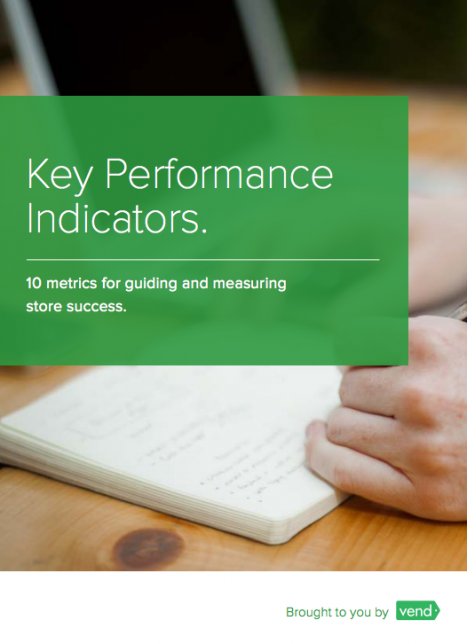 Bringing in more traffic and sales is something that every retailer thinks about. But the questions remain: How do you get shoppers to come by and entice them to buy more from your store? What are the triggers that will get people to purchase from you and not your competition? How do you get out of a slump if you’re not getting that valuable foot traffic? 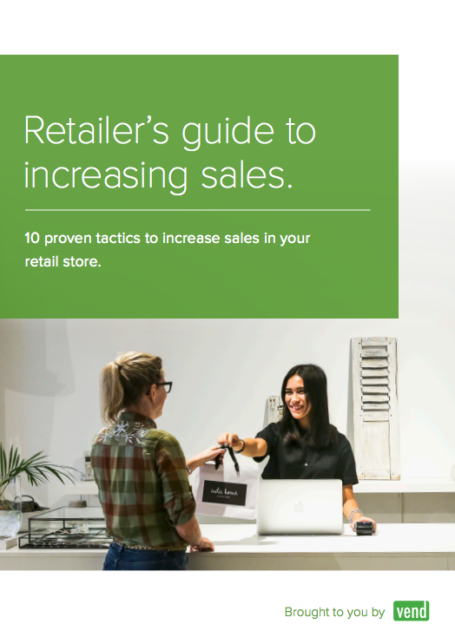 Whatever your goal may be as a retailer, here are simple advertising tips that will not only help drive sales, but help grow your business long-term. It’s not a newsflash that discounting products helps to increase demand, but there’s a fine line between a promotion and simply pricing yourself into a deficit. 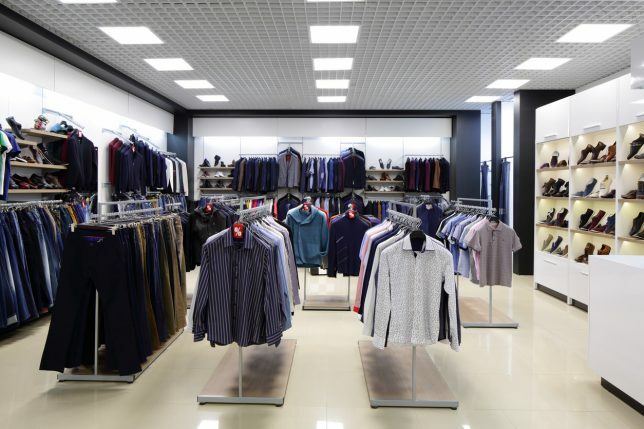 It makes sense to go this route if the plan is to bring a large number of people into your store with the hope that customers will not only buy more because of the deals, but will return again and again because of the excellent service. That’s why if you’re planning to advertise promotional pricing, you have to ensure that you have some something in your store that will get people to stick around and buy. 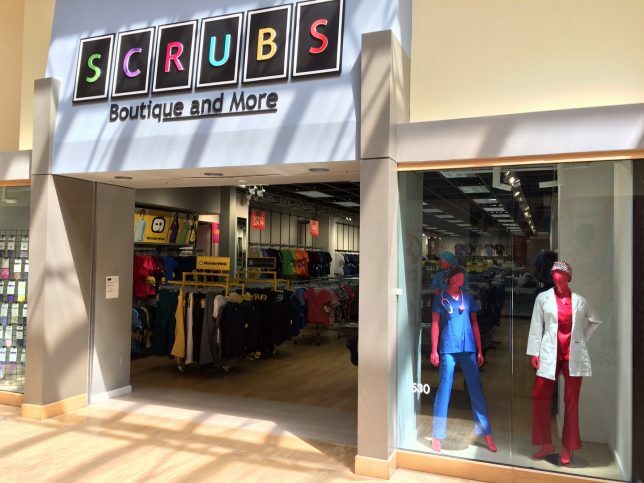 Gymboree, a retail chain that sells kids apparel, does this well. 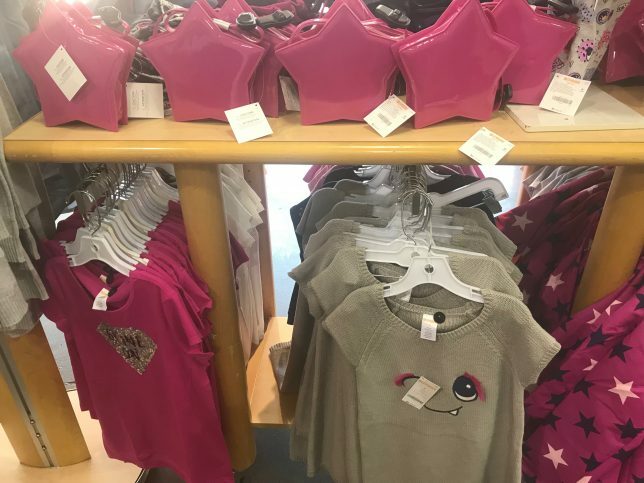 Gymboree likes to run huge sales both online and offline to draw people, but they also do a good job of delighting customers once they in the shop. The staff also encourages people to sign up for Gymboree’s loyalty program, which helps drive repeat visits. Promotional pricing has a strong psychological pull for consumers, as well. A simple red or yellow sale tag on a product causes customers to assume a product has a better value proposition than they could get somewhere else. And ending a price in the number “9” has been shown to increase sales — even if the two prices in question are $39 and a cheaper price point of $34, for example. And don’t forget about running a promotion with the word “free” in it, such as “Buy one, get one free” or offering free shipping. This promotional tactic is effective because the consumer feels like they’re truly getting something for nothing, when in reality it’s the same thing as offering “50% off,” for example. The word “free” is universally known, whereas consumers often have trouble interpreting the meaning of percentage discounts. Target runs “free” deals regularly, but does it in a strategic way. 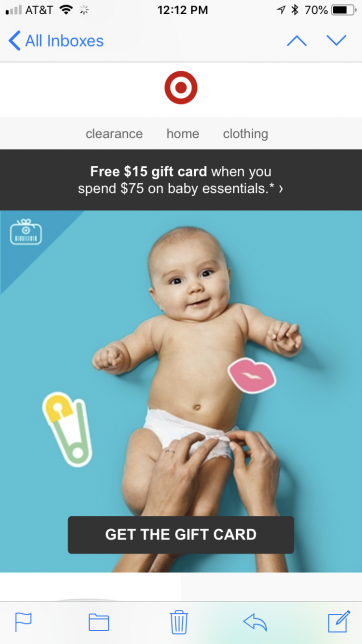 Check out the example below, where they give away a gree $15 gift card if the shopper spends $75 or more on baby products. See if you can emulate this strategy. If you want to encourage sales in a particular department (apparel, baby, kitchen, etc.) run a “free gift card” promotion with a spending threshold for that specific category. You have to give people a strong reason to visit your store, and having good products often isn’t enough. People can order anything online these days — and hopefully even from your own online marketplace — but what brings them through your doors? 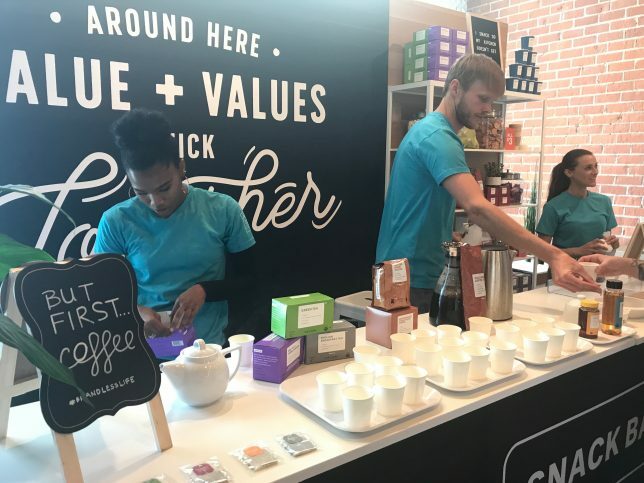 Incentivize shoppers to come into the store for a free and on-brand event where they will not only be surrounded by tempting limited and “only available in stores” items, but also things like product demonstrations and services. 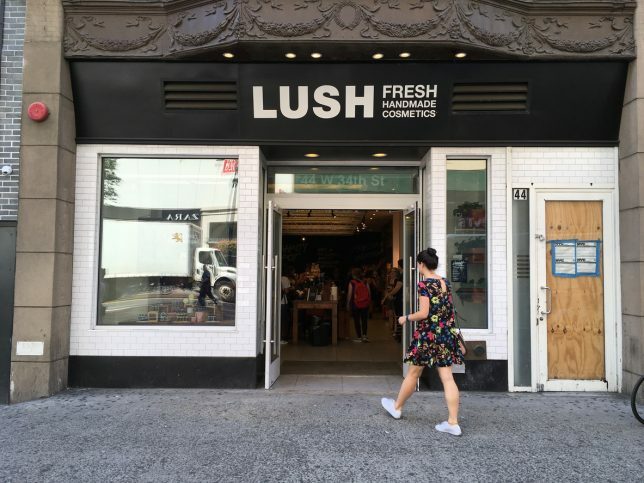 Take a look at what Birchbox in SoHo did earlier this year. 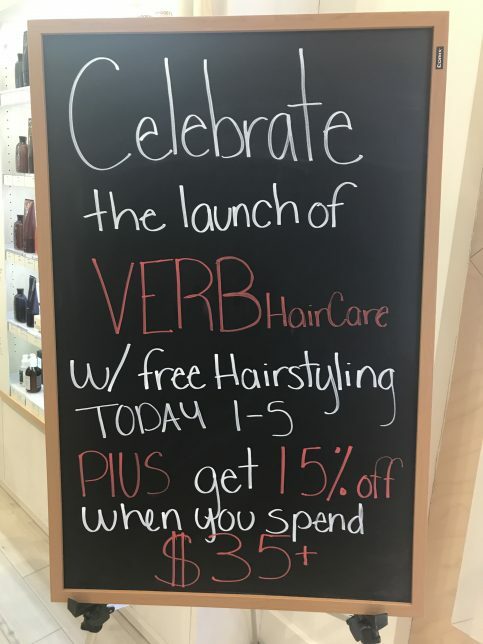 To celebrate the unveiling of a new product, Birchbox had a launch event where shoppers can get free hair styling and 15% off when they spend $35 or more. To drive store traffic, Birchbox set up a huge sign by the door advertising the event and their offers. If you’re looking to attract online shoppers into your location, offer coupons that can only be used in-store. Once you get them through your doors, knock their socks off with personalized service and fun events. It never hurts to offer snacks, either. Again, Birchbox serves as a wonderful example here. In that same event we mentioned above, Birchbox served champagne so customers can enjoy while shopping and getting a makeover. Research has shown that more than 6o% of all decisions to buy something are made while people are shopping in a store, with more than 50% of those decisions considered an impulse buy. 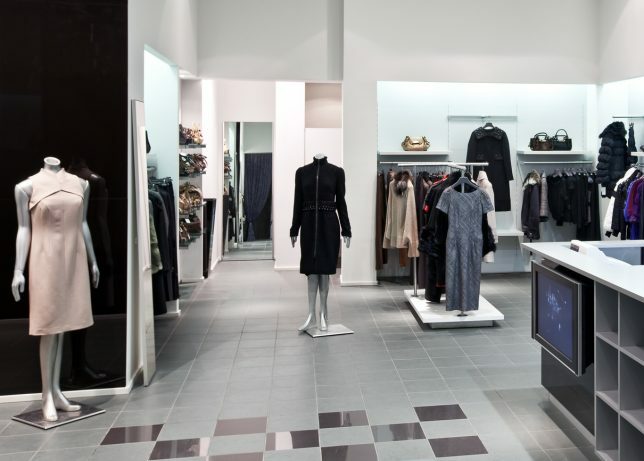 What that tells you is that point-of-purchase (POP) displays — those well-designed displays placed throughout the store — are an effective marketing tool. Just think about walking through your grocery store checkout line and seeing all the magazines, candy, and other cheaper items just waiting to get thrown in your cart. 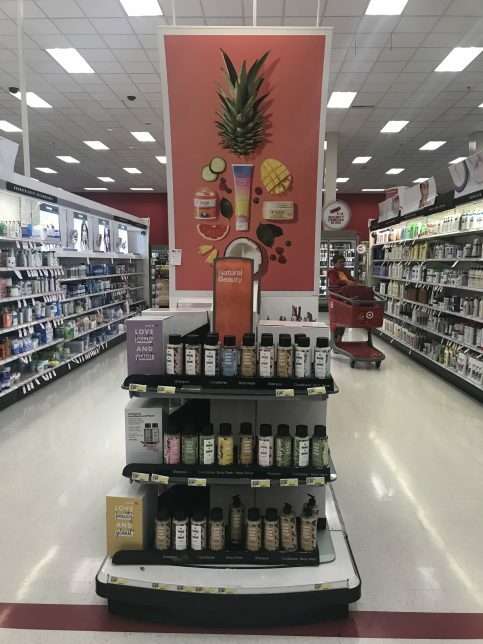 You weren’t planning on purchasing them, but since they’re there and so reasonably priced, you figure, “Why not?” Strategically place your own POP displays throughout your store and along the path to checkout to encourage these impulse buys. Once again, Target does an excellent job implementing this tactic. Scattered throughout its stores are big, attractive POP displays that you just can’t help but check out. Got a digital advertising budget? Consider Facebook. Aside from having colossal user base (i.e., 2 billion monthly active users), research has found that 29% of online shoppers would be likely to follow a brand on Facebook. Facebook Insights allows you to target your ads to specific groups of people in certain locations, and create focused audience segments. It’s a well-known fact that it costs at least five times as much to attract a new customer than it does to retain an old one, and that the probability of selling to an existing customer is 60-70%, while the probability of selling to a new customer is 5-20%. These numbers tell you that maximizing this relationship is one of your biggest marketing tools, and an easy way to do that is through a loyalty program. The goal of a program is to not only retain those customers, but to make them feel like earning points and reaching the next VIP tier an exciting and exclusive experience. Be creative with the ways customers can earn points, like offering double rewards on their birthday, which has the added advantage of giving them a personalized experience. Also get creative with the rewards themselves, like that from Sephora’s Beauty Insider program. This world-class rewards program has mobile experiences, VIP tiers, and exclusive rewards. When customers reach VIB Rouge, the top tier of Sephora’s program, they’re given exclusive access to new products. Customers are motivated to become members and spend at Sephora because of that memorable reward. Remember those impulse buys we talked about? Most of them are spurred on because of a sense of urgency, like “for a limited time!” or “while supplies last!” When you instill urgency into your marketing messaging, customers feel the pressure and are more likely to impulsively make a purchase. Be sure customers feel that they are limited by time and inventory, and that if they don’t buy it now, they won’t have the same opportunity again in the future. As long as your brand has a clear message with a clear timeframe, this urgency more often than not gets them to take action. 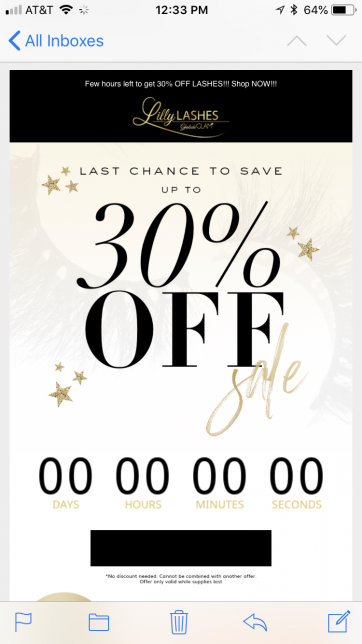 Check out this email from Lily Lashes, which even has a countdown indicating the amount of time left in the promotion. Around 88% of consumers who search for a type of local business on a mobile device call or go to that business within 24 hours, which tells you that even if you run a mostly online marketplace, you need to focus on what’s right outside your front door. People like a sense of community and belonging, so they’ll be more emotionally drawn to your business if your brand aligns with what they’re looking for. Getting your name out there can be done through geotargeting on platforms like Google AdWords, Youtube, Facebook, Twitter, etc., by delivering content to a user based on his or her geographic location. Also make sure the copy and imaging on your marketing materials reflects the local scene. For example, feature ads shot in a local park or highlight the fact you’re selling a local product. This creates an emotional tie with the customer, who will then feel right at home in your store. You should also be locally relevant in your email marketing. 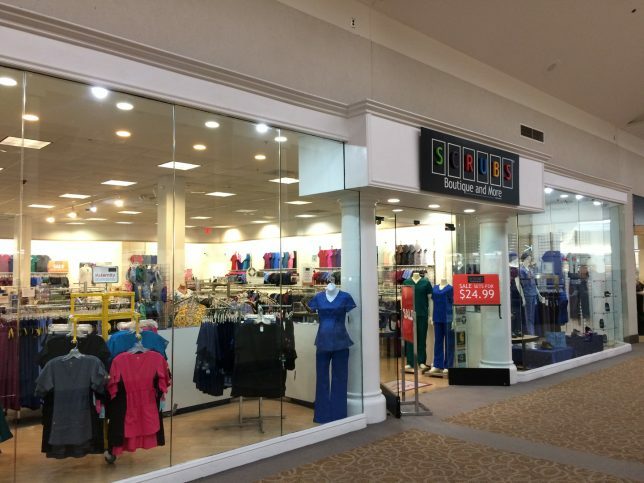 New York & Company, for example, displays a map of the closest NY&C stores at the bottom of its emails to remind subscribers where they can find local stores. So you marketed your products and services to customers and they made a purchase, which is great. But not reaching back out and remarketing your products and services to customers again is simply leaving money on the table. In fact, 75% of consumers are more likely to buy from a retailer that recognizes them by name, recommends options based on past purchases, or knows their purchase history. Remarketing allows you to remind customers that they bought your products before, and they should be buying your products again. The problem is people are busy and might forget how positive their experience was with you if you don’t remind them, and reminding them isn’t pushy — it’s profitable. Think of the lifespan of your product and when that consumer would be running out and needing another. If you sell face wash, remind them two months after their purchase. If you sell candles, give it a good month or so. Also have knowledge of which products complement each other, and upsell based on their past purchases. That customer who purchased a candle might like some scented room spray, or a bottle of lotion to go with that face wash. While these advertising tactics are all well and good, they won’t be effective if you don’t track your efforts and analyze what is and isn’t working. 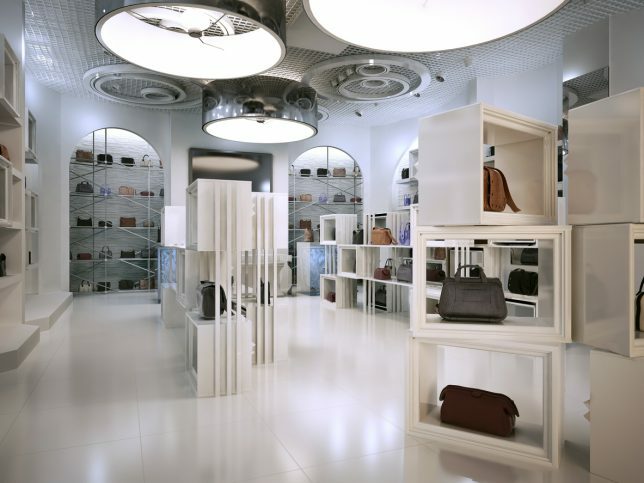 In a perfect retail world, your POS system should allow you to assign tracking and discount codes to certain products. Then you can simply generate a report to see how well you’ve done since first launching the campaign. Also important is setting a timeline for your campaigns and efforts. This will help you see how effectively your time and efforts are being used — after all, time is money. 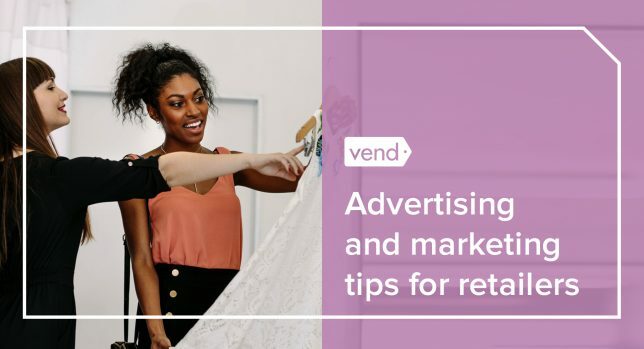 The post 8 Retail Advertising and Marketing Tips That Can Drive Traffic and Sales appeared first on Vend Retail Blog.